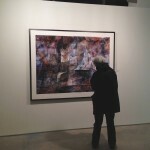 Looking at a work by Shai Kremer at the Spotlight on Israeli Culture — at Julie M. Gallery. 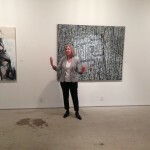 Cheryl Wetstein ED of Canada Israel Cultural Foundation speaks at the opening of Spotlight on Israeli Culture in front of “Flag” by Yehuda Porbuchrai — at Julie M. Gallery. 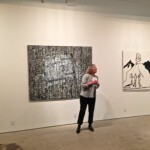 Cheryl Wetstein ED of Canada Israel Cultural Foundation speaks at the launch of Spotlight on Israeli Culture in front of “Flag” by Yehuda Porbuchrai — at Julie M. Gallery. 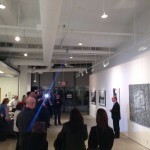 CG DJ Schneeweiss speaks at the launch of Spotlight on Israeli Culture — at Julie M. Gallery. 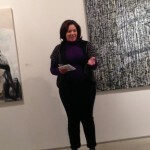 Director of Cultural Affairs Rebecca Singh — at Julie M. Gallery. 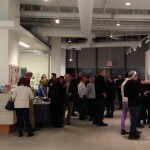 The launch of Spotlight on Israeli Culture at the Julie M. Gallery “Contempoaray Israeli Art” on display through March 9 — at Julie M. Gallery. 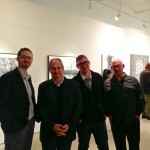 Josh Grossman- AD @ Toronto Downtown Jazz, David Eisner- AD @ Harold Green Jewish Theatre, Robert Simard- ED @ Dancemakers, Norman Zaiger, publicist. 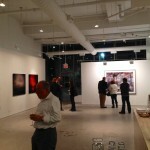 — at Julie M. Gallery. 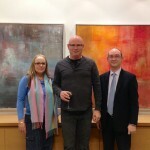 Robert Simard- ED @ Dancemakers, Cheryl Wetstein ED Canada Israel Cultural Foundation, David Eisner- AD @ Harold Green Jewish Theatre — at Julie M. Gallery. 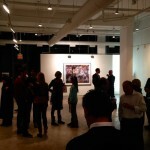 People arriving at the launch for Spotlight on Israeli Culture — at Julie M. Gallery. 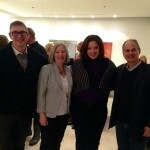 Deputy Consul Irit Stopper, artist Gideon Tomaschoff, CG DJ Schneeweiss — at Julie M. Gallery. 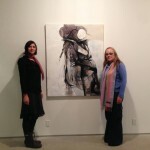 Artist Nava Waxman beside her work “Lovers” with Deputy Consul Irit Stopper at Contemporary Israeli Art Julie M. Gallery a part of #IsraelSpotlight more info Spotlight on Israeli Culture — at Julie M. Gallery. 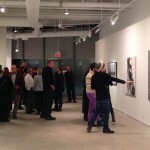 Neither the frigid weather nor the accumulated deep snow deterred Toronto art lovers, community leaders and the media from visiting the Julie M. Gallery in the Distillery District on Wednesday evening, February 5, to celebrate the formal launch of the February-March Spotlight on Israeli Culture held in conjunction with the Gallery’s opening of the Contemporary Israeli Art group show. 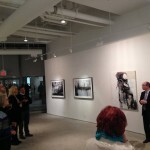 Welcoming remarks were made by Consul General DJ Schneeweiss, from the Consulate General of Israel for Toronto and the Western Provinces, as well as by Cheryl Wetstein, Executive Director of the Canada-Israel Cultural Foundation, the member-supported group that has organized Toronto’s first-ever Spotlight on Israeli Culture. 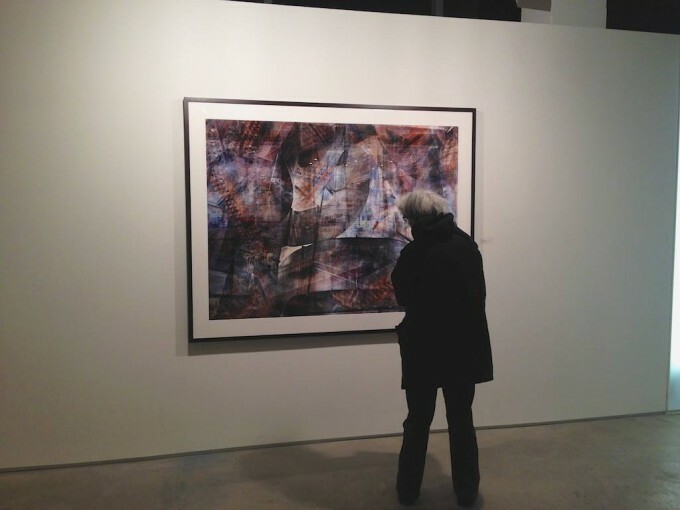 Contemporary Israeli Art features work by emerging and established Israeli artists Maya Bar, Tali Ben Bassat, Deganit Berest, Anat Betzer, Dan Birenboim, Miriam Cabessa, Atsmon Ganor, Itamar Jobani, Shai Kremer,Karin Mendelovici, Ram Samocha, Eran Shakine, Alma Shneor, Gideon Tomaschoff, Yehuda Porbuchrai and Nava Waxman. 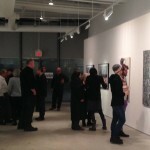 Israeli artists, Gideon Tomaschoff and Nava Waxman, both of whom who now live and work in Toronto, attended the Opening and chatted with the guests about their works. 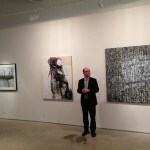 Contemporary Israeli Art remains on exhibit at the Julie M. Gallery through March 9. Hours are Tuesday-Saturday 11:00 am – 6:00 pm and Sunday from 12:00 pm -5:00 pm. Admission is free.